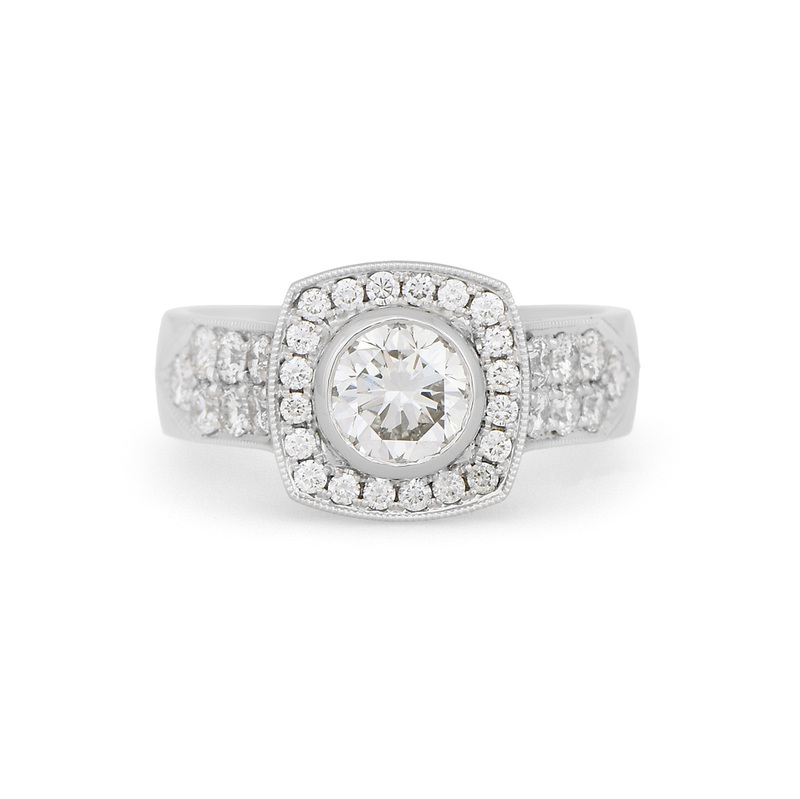 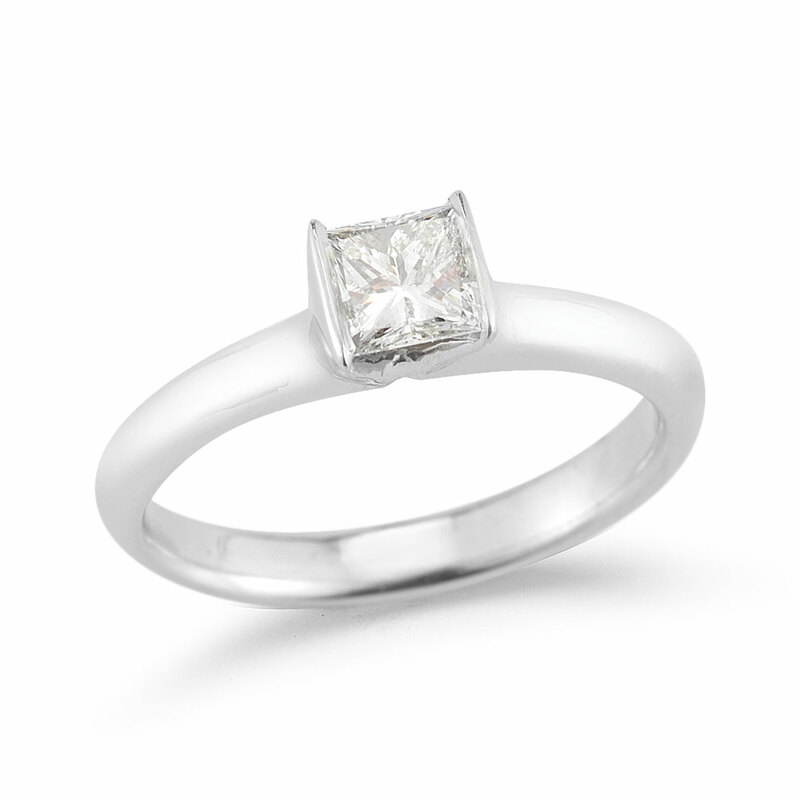 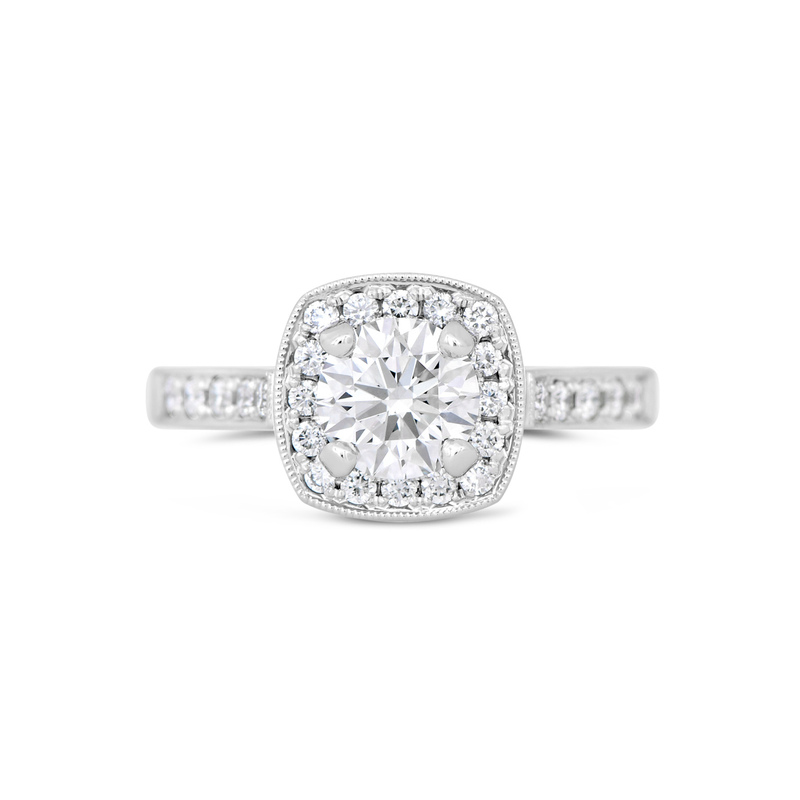 Cushion Halo Diamond Ring featuring smaller halo diamonds and a thinner shank. 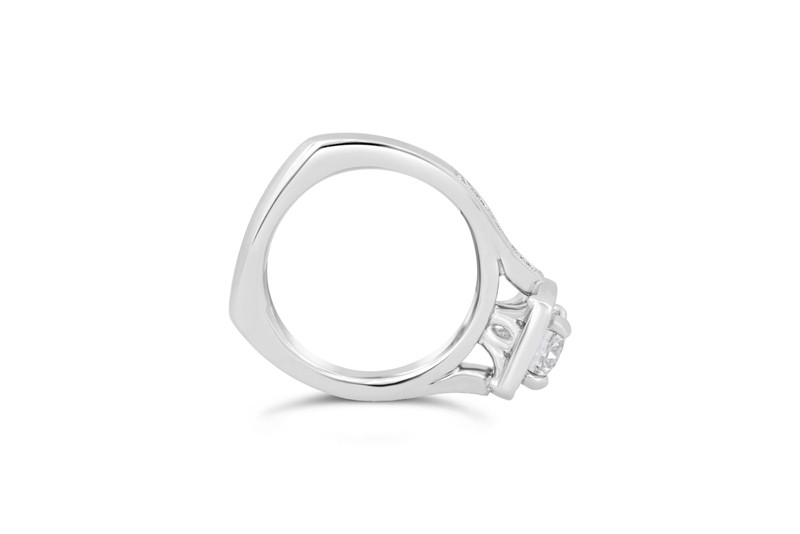 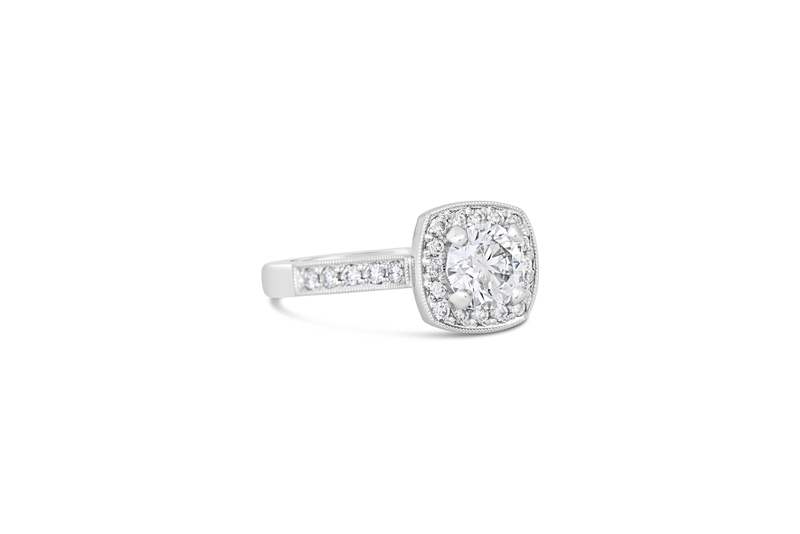 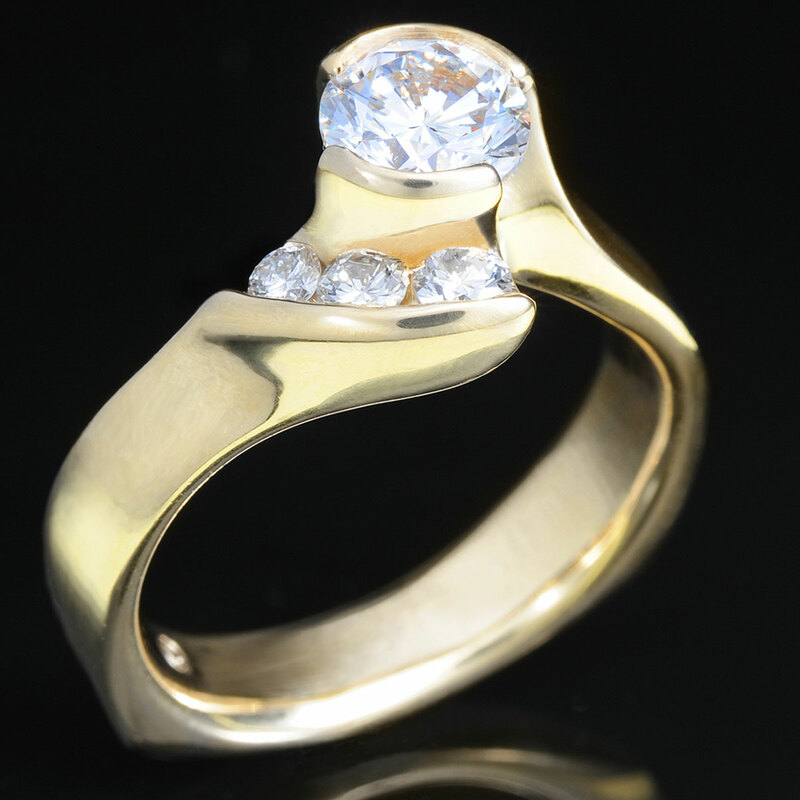 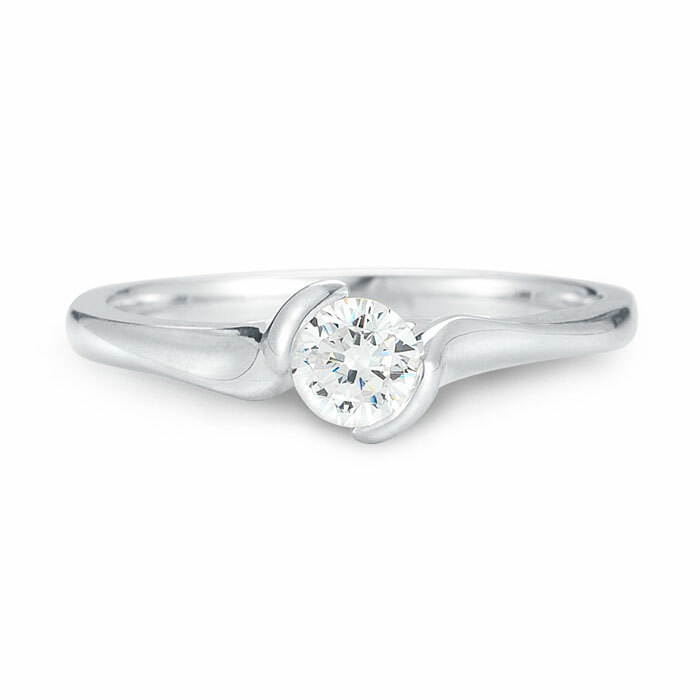 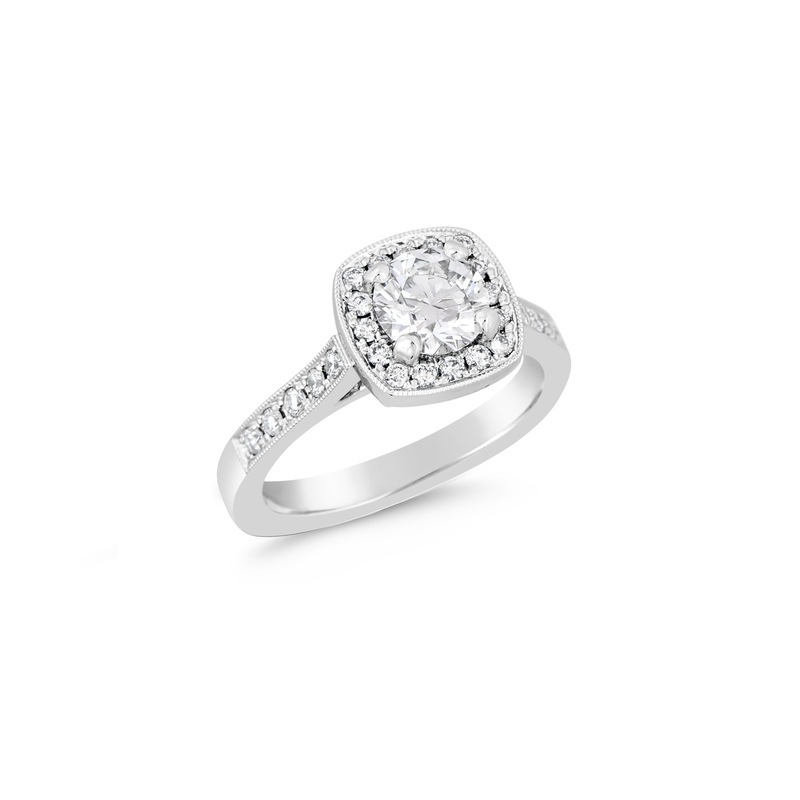 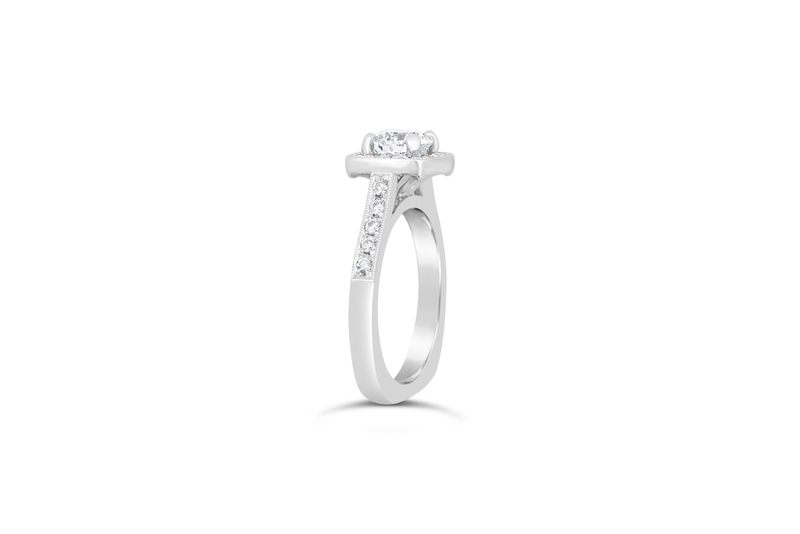 It is set with a round diamond in 4 platinum prongs. 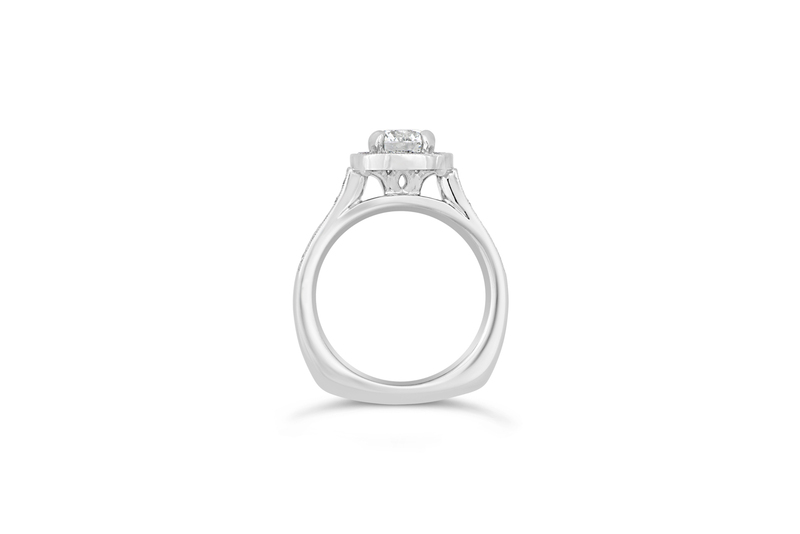 Our halos offer unique subtle differences such as the undergallery detail work and the ability to set the halo and prongs in platinum with the shank in 14k gold.